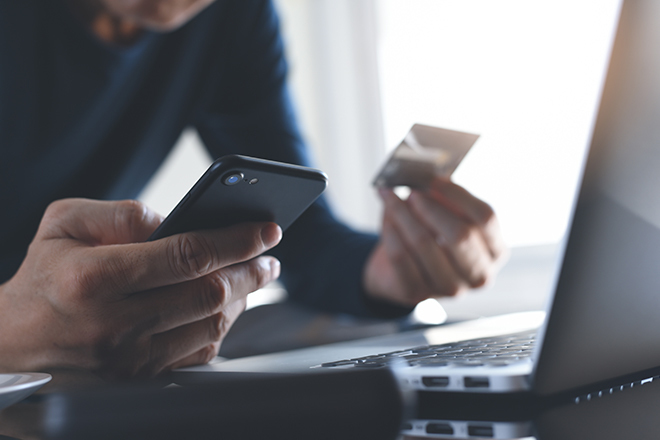 Consumers reported a staggering $905 million in total fraud losses in 2017, according to an annual study conducted by credit bureau Experian. Whether someone impersonates your bank as a part of an elaborate imposter scam, steals your personal information while you’re using public Wi-Fi or seizes your credit card in a data breach, identity thieves have a vast selection of clever ways to access information and commit fraud. It typically takes three months for most people to find out they’re victims of identity theft, which leads to financial and emotional distress, obliterates your credit and makes you feel helpless as you spend hours trying to fix the problem. There were 1,579 data breaches in 2017, a 44% increase from 2016. If you have a credit card, your information is already out there. Take these smart steps to protect yourself from identity theft and learn what to do if identity theft happens to you. Freeze your credit. Freezing or locking your credit restricts access to your records, so new credit files can’t be opened unless you unfreeze your account. You can also lock your credit, which is the most secure way to protect yourself from identity theft. All three major credit reporting bureaus—Experian, Equifax and TransUnion—have smartphone apps that allow you to lock and unlock your credit for free. Keep your SSN safe. Those nine numbers can give an identity thief access to a wealth of personal information, so keep your Social Security number safe. Never carry your card with you, and if you’re asked for your number, ask why it’s needed and how it will be kept safe. Strengthen passwords. Make a habit of changing your passwords at least once every 90 days. Considering using a password manager to encrypt your passwords, change them with a single click and log in to websites for you. Check your mail. Stolen mail is one of the easiest ways for a thief to steal your identity. Put your mail on hold while you’re out of town. Get a lockable mailbox to keep your stuff safe, or sign up for informed delivery to preview your mail so you can tell if something is missing once it’s delivered. Be conscious of how much you’re sharing. There’s a fine line between sharing and oversharing. If you’ve filled out your Facebook profile to include details on your birthday, family members and where you went to high school, you may want to comb through your account, remove some information and change your privacy settings. Just think about how many online security questions ask about your high school’s mascot or your oldest sibling. The answers could be easy for an identity thief to find. Shred it. Securely dispose of credit card and bank statements by running documents through a shredder. Don’t forget about junk mail either, especially those “preapproved for credit” mailers. Get identity theft insurance. Identity theft insurance can’t prevent fraud, but it can help repair the damage. Anyone who has ever dealt with identity theft will tell you that it doesn’t just affect you financially—it can also damage your credit score and reputation, which takes a lot of time and expert assistance (translation: money) to resolve. Identity theft coverage is an optional insurance add-on included in the premium you already pay for homeowners insurance. It doesn’t prevent someone from stealing your identity, nor does it cover financial losses you’ve incurred as a result of identity theft. Identity theft coverage can, however, help pay for services to restore your identity and recover from fraud, up to your policy’s limits. Replacement of government-issued identification, such as a Social Security card, passport or driver’s license. Assignment of a consumer fraud specialist or case manager who communicates with appropriate agencies and authorities on your behalf. Resolution services to help repair your identity and restore credit. Assistance with lawsuits, criminal charges and other proceedings related to identity theft. Reimbursement of lost wages while trying to recover your identity, attorney’s fees and other administrative expenses. Submit a report to the Federal Trade Commission or call the FTC’s toll-free hotline at 1-877-IDTHEFT (438-4338). Place a freeze or fraud alert on your credit reports with Equifax (1-800-525-6285), Experian (1-888-397-3742) and TransUnion (1-800-680-7289). If you are a victim of medical identity theft, contact your insurance and medical providers, obtain copies of your medical files and have them corrected. File a HIPAA complaint with the U.S. Department of Health & Human Services or call 1-800-368-1019. If you are a victim of tax-related identity theft, contact the IRS (1-800-366-4484). With so many free identity theft protection services out there, you may be asking yourself whether identity theft insurance is worth it. You don’t need identity theft coverage, but if you ever find yourself a victim of fraud, you’ll be glad you do. You want to be certain that if identity theft ever does happen to you, you’ve got an insurance policy that can handle the heavy lifting for you. How can you know for sure? If you’re required to sign a limited power of attorney upon purchasing this type of coverage, that means your insurance provider will help you. If not, you’ll likely be responsible for cleaning up the mess, although you’ll be reimbursed for the expenses. But the major benefit of identity theft coverage is that it can connect you with a case manager who takes care of the dirty work for you. Without someone working to restore your identity on your behalf, this type of coverage is practically useless. If you decide to add this type of coverage to your homeowners or renters insurance policy, be sure that you understand what your policy will and will not cover. Adding identity theft coverage to your homeowners insurance policy often costs fewer than $50 per year—a small price to pay considering the financial and emotional toll identity theft can take. Curious about how identity theft coverage can provide you with peace of mind? Talk to your local Personal Express agent or call 1-800-499-3612 to learn more and discuss your options.